who are interested in participating in the worlds oldest and greatest sport. Practices will take place on Tuesday and Thursday evenings from 6:00 p.m. – 7:30 p.m.
held in the Staples High School Field House starting on November 27, 2018 - February 14, 2019. Program cost: $265 for the season. 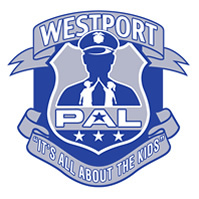 Includes a Westport P.A.L. Wrestling Shirt, USA wrestling card, insurance, coaching, and facilities. Necessary equipment includes wrestling shoes and headgear for practices. Those wishing to compete should purchase a singlet as well. All of this can be ordered through ASF.